"SHOCKING... New Strategy Guide Blows The Lid Off Safelist Marketing!" Get Ready For A No Holds Barred Approach To Safelist Marketing That Will Have Your Competition Running Scared And Scratching Their Heads In Disbelief. Safelist marketing has been around for years but it still amazes me to see so few people using it to their fullest advantage. When used correctly safelists can be one of the most effective forms of free advertising available. When used incorrectly they can be a massive waste of time. Many of the top Internet marketers know that there is a lot more to safelists than just blasting your ads out to thousands of people. I created "Safelist Marketing Tactics" as a way to level the playing field and give the average Internet marketer all the tools they need to really succeed with safelist marketing. How to drastically reduce the time spent clicking for credits while still sending your ads to the maximum number of readers. How to setup your inbox to make managing multiple safelist accounts a breeze. How to stand out from the competition by creating stunning html emails with just a few clicks of your mouse. How one simple safelist email can generate multiple streams of income for you over and over again. 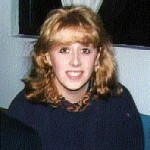 "The very first Internet marketing ebook I ever read was written by Jerry Iannucci. I followed all the steps and did everything Jerry said.. and it worked! Now he has a book about safelists. I have read the book and I am following his advice to improve my safelist ads. Amazingly... he was right! Again! Thanks Jerry!" "Of all the many e-books and reports I have collected over the last few years, Jerry Iannucci's Safelist Marketing Tactics has been one of the very most helpful I've gotten a hold of � if not THE most helpful, especially when it comes to using safelists and viral list builders and such for your advertising. And after putting his tips and strategies into action � especially when it comes to getting organized using safelists � they're no longer the headache to me they once were. Instead, they're one of my most useful and most used tools in my marketing toolbox!" "I just read Jerry's Safelist Marketing Tactics ebook cover to cover. Wow.. is all I can say. I learned SO much, and Jerry really explains it in the simplest way possible. He even covers how to use filters in your email client to organize the safelist emails, how to track your results, how to tweak your ads, I mean everything! 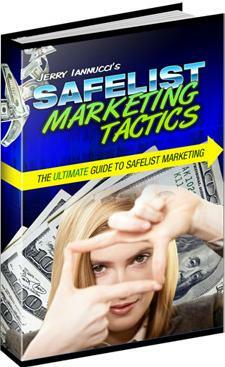 Be sure to grab Jerry's book, read it, and I can promise you you'll be ready to give safelist marketing another try." I must be crazy for giving away such a quality product for free! If I were you I would grab a copy now before I come to my senses.